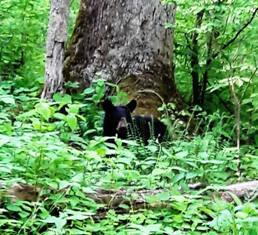 During Wilderness Wildlife Week visitors enjoy some of the most exciting events in the Great Smoky Mountains! It's a week filled with walks, talks, workshops and exhibits. It's the perfect time to familiarize yourself with the area, learn the history, and experience life in the Smokies. This event is held annually during the second week of May. Wilderness Wildlife Week Is Has A Lot To Offer! Wilderness Wildlife Week is a celebration of living in this part of the country. It's about how living in these mountains began. It's about the God we serve. The food we eat. The music we sing. 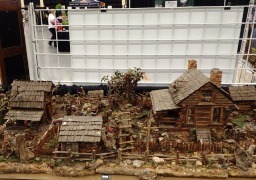 The crafting, farming, and the joys of everyday life in the Great Smoky Mountains. There's so much history surrounding these mountains! 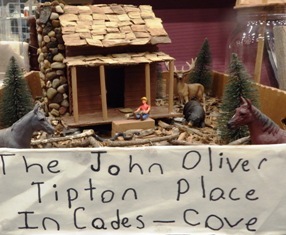 Some of the most famous historical landmarks include The John Oliver Tipton Place located inside Cades Cove. The Little Greenbriar School Church, and Roaring Fork Historical District. The National Register has more information on these and other historical landmarks. Hiking is one of the more popular events. "Outdoor Excursions" lists more than a dozen of the mountain's best hiking trails. These include Middle Prong/Indian Flats Falls, Baskins Creek Falls, Clingman's to Mt. Collins Shelter, Chimney Tops/Alum Cave, American Eagle Foundation, Avent Cabin, Porters Creek, and Cades Cove Loop Road. These guided tours range from easy to strenuous and offer the opportunity to see and learn interesting facts while experiencing the beauty of the mountains. Keynote speakers are on hand every day of the week with interesting topics. These are folks who have lived in these mountains. They tell stories of personal experience, and remember famous historical figures. (Some of which they are related to) Hear from professionals in the area who offer heartfelt spiritual experiences, photography tips, and Forensic Anthropology. You may even learn the native tongue of Southern Appalachia! There's film showcases and much more! The exhibits are not only educational, but they are also pretty amazing! The Exhibit Room is covered with booths filled with candies, information, and free stuff. There are people at every booth waiting to talk with you and to tell you about the exciting things that are going on with their exhibit. I had a great time playing a game by visiting every participating booth who had a hidden stuffed black bear. I had to find the bear, and write down it's name. After listing all the bears, I turned in my name sheet for a chance to win an exciting door prize. I didn't win anything this year, but I sure had a "blast" trying! Wilderness Wildlife Week is five days packed with everything to do for the entire family! Every member can find something to participate in. For the kids, it's the "Kids' Trout Tournament" and it's absolutely free! There are photo/video contests, music concerts, tours, inspirational stories, classes, country eatin' and more! 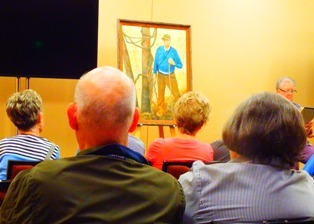 One of the most popular happenings is bluegrass music. 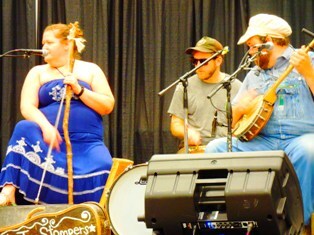 For 2018, "The Knox County Jug Stompers" Did an amazing job playing, singing, and entertaining audiences. It's a celebration with much to offer! The best way to learn about it is to come and experience it for yourself! My attendance to the festival ended with a "bang" in 2018! During an excursion in the mountains, I came across a Mama bear and her cubs playing just a few feet from the side of the road! So come! Learn! Play! That's what it's all about! The cost is absolutely free! For more information call the Pigeon Forge Office of Special Events at 1-865-429-7350. Click Here to find a full listing of all events for the 2018 season.